Bharat Bichitra on September 2016 magazine ebook pdf file. Bharat Bichitra is a most popular Bangla magazine which has been publishing by the Indian Embassy High Commission since forty four years. 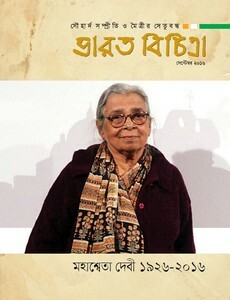 The monthly Bangla language magazine base on literary, all topics are related about in India and Bangladeshi cultural and literary. This magazine edited by Nantu Roy and cover stories are autobiography, poems, philosophy, short stories, translated story, Shishutirtha etc. Collect the Magazine as ebook pdf from link below.